Friends, ROWAN has joined in collaboration with Double Happiness Jewelry to create these Beautiful pieces made out of our hand-rolled paper beads from Uganda! It is time to join us and help get them out into stores, church bookstores, and into the hands of every woman you know! Every bead maker will make 4x the amount of money than she would locally. It is also a requirement that every artisan is involved in a Savings group where she has created a culture of savings in her home. The remainder of net profit pours back into the programs that serve the widows, orphans, and people living with HIV/AIDS! What is our goal? To sell 50 sets of this collection by Christmas! Can You help us? As teams venture to the village of Mawanga this summer to make the beads, lets start taking orders now! Jewelry will be ready to sell in September. 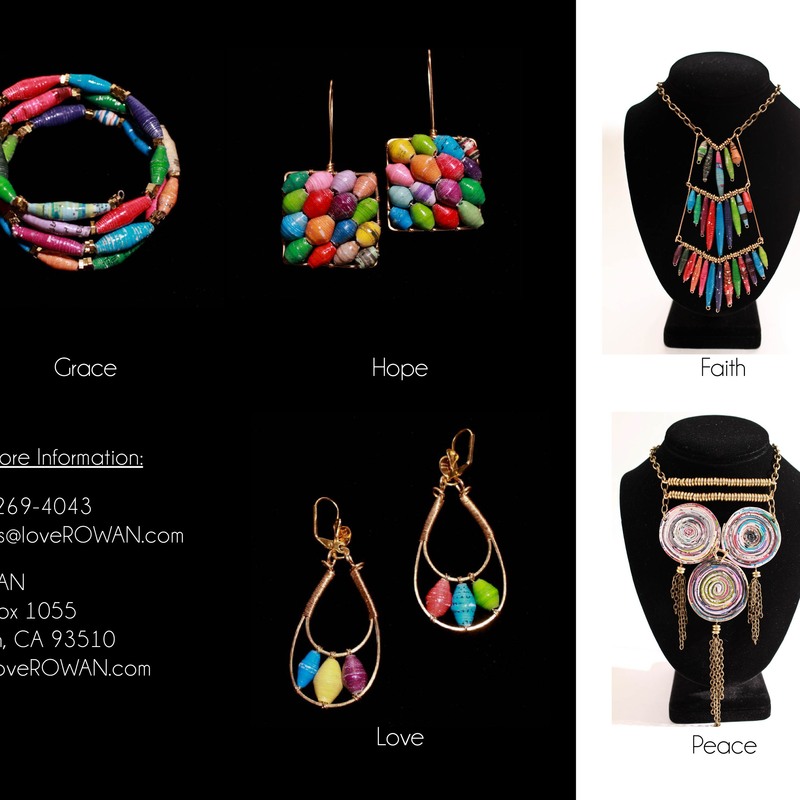 We will offer this collection in these bright beautiful colors and all black for fall/winter seasons.